Every year, students at the UW study a city and help that city with its biggest problems. This year, they’ll study Bellevue. Running a city like Bellevue, a person can get consumed by the problems of the day. “Our staff are so busy, because of the level of service we provide to the city residents,” said Danielle Verwahren, a Bellevue official. In that environment, politics and money can narrow a bureaucrat’s view of what’s possible. But students haven’t been worn down by countless public meetings and budget negotiations, yet. 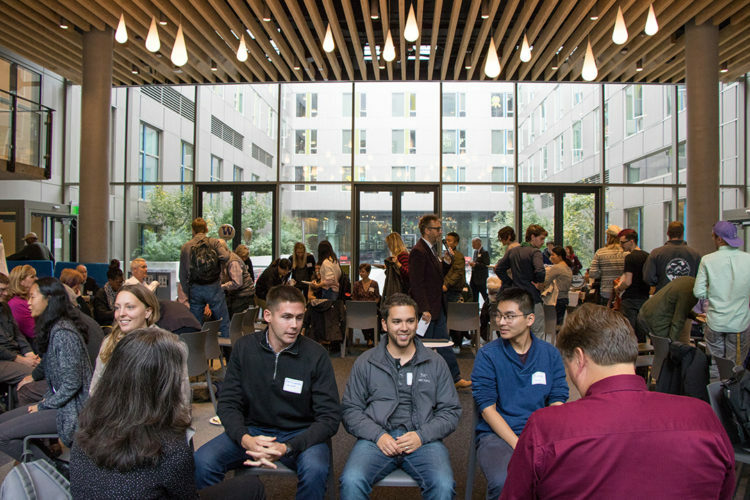 This week, students met Bellevue officials at the UW for the first time. In the year ahead, they’ll spend hours talking to Bellevue residents and businesses. Under the guidance of faculty, they’ll study the latest academic research on making cities livable. And at the end of the year, they’ll produce glossy reports officials can share with the wider Bellevue public.